A good shuttle, while not absolutely required to make cloth, is one of the most important tools for efficient weaving. From top to bottom: two stick shuttles, a boat shuttle, a rag shuttle, an end-feed mill shuttle, a baby boat shuttle, and a ski shuttle. 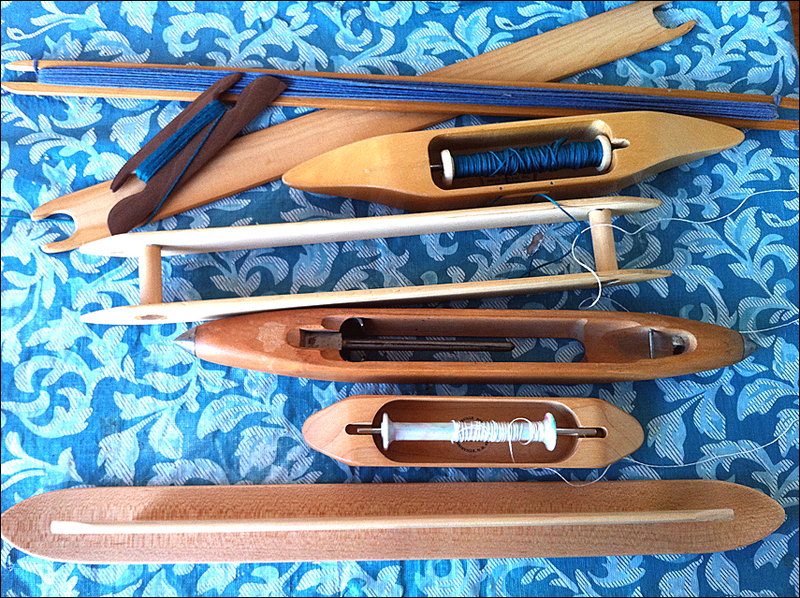 The small walnut shuttle in the upper left is a belt shuttle, which is a type of small stick shuttle with a sharp tapered edge for beating in the weft of narrow bands. 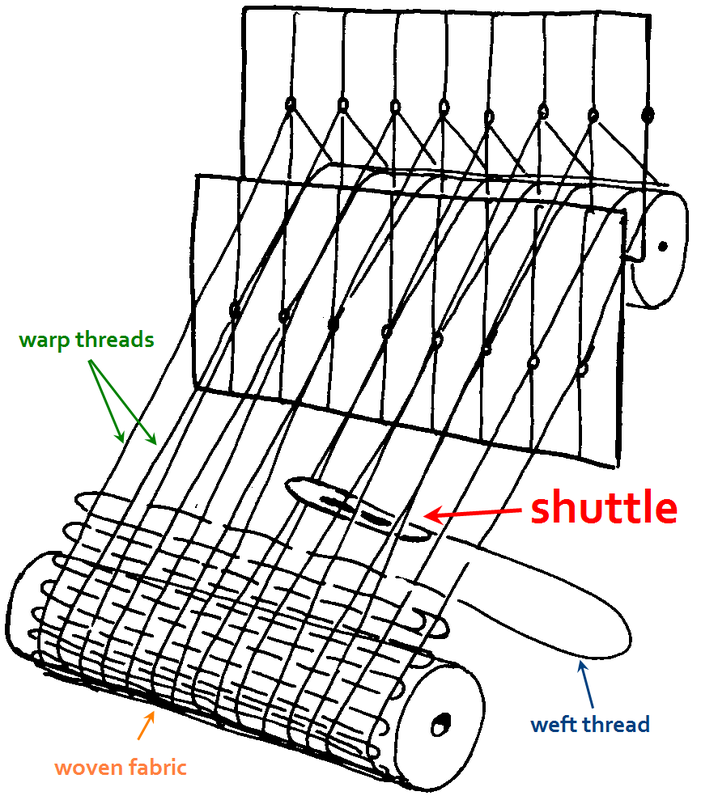 The operating principle is the same for the simplest stick shuttles and the heaviest industrial flying shuttles: the shuttle carries weft (or woof, or filling) thread back and forth through an arrangement of warp threads. 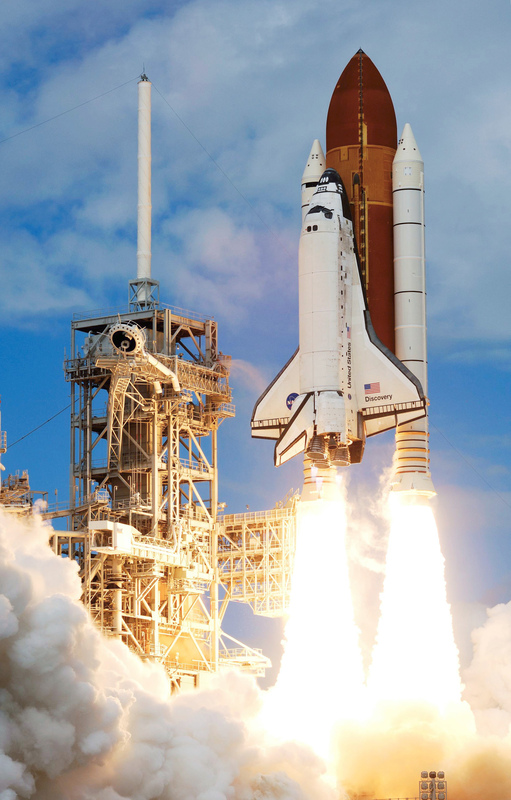 When you consider the back-and-forth motion of a shuttle on a conventional loom, it’s easy to see how the word came to be applied to any sort of relayed transportation device. More obsolete than a stick shuttle? So the next time you hop on a shuttle bus, wherever you’re going, you can really think of yourself as part of the… fabric… of modern society. I remember reading about how they sent a spider into space to see how it would weave its web in zero gravity. After a bit of practice, it got pretty good. Fascinating stuff.